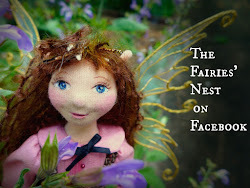 The Fairies Nest - OOAK Cloth Dolls & Fiber Fantasies: A Beautiful Apple for You my Dear! 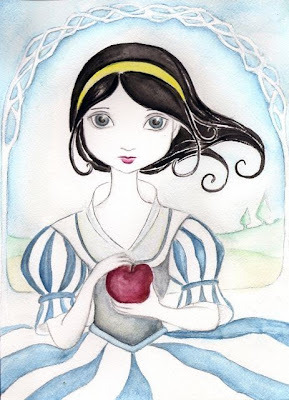 Snow White with Poison Apple by one of my favorite illustrators, Darkling Woods Studio. 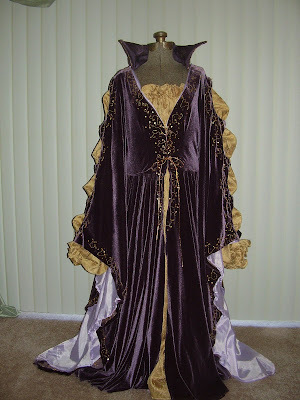 Wouldn't this gown would be perfect for channeling your inner evil queen? The Sorceress from Legends by Lara. 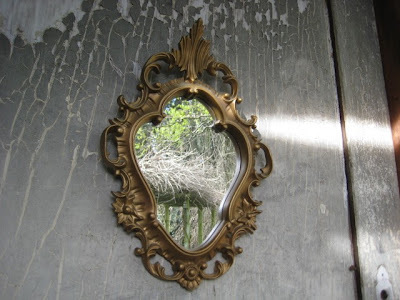 And of course you'll need a mirror. I think this vintage one by From Gray to Gold looks like it would be perfect! Now for some apples! How about these lovely felted ones created by Cozy Cottage Creations? 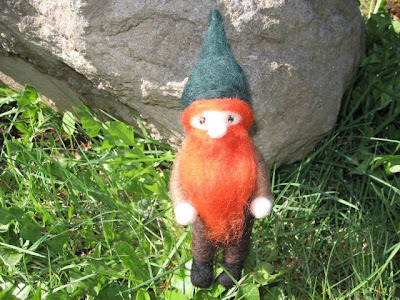 And last but not least we have to have a dwarf or two! 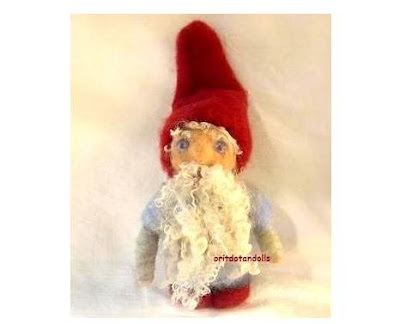 I love this little fellow from my friend Orit of Orit Dotan Dolls. And we'll finish with another dwarf from another friend, Kelley of Little Elf's Toy Shop. I hope you enjoyed your wander through the finds today, have a great weekend! Thanks so much for your beutiful work, everything you do is with magic touch, also thank you for featuring my gnome, it is my honor! 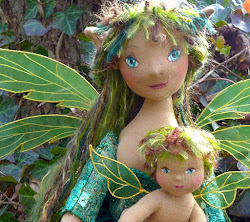 What a nice and sweet fairies and I really love the findngs with the tale snowwhite..
You found some good stuff! 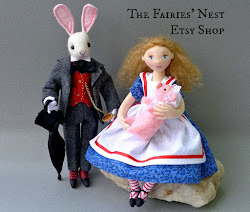 Fun to escape to fairytale land for a wee bit. I've always liked Orit Dotan's work. 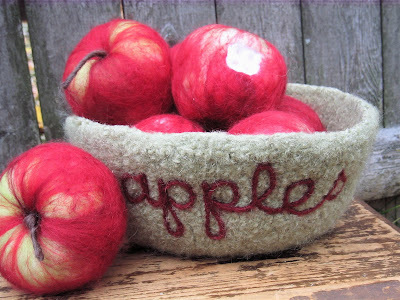 Those felted apples are beautiful too. Oh joy! Snow is one of my very favorites! 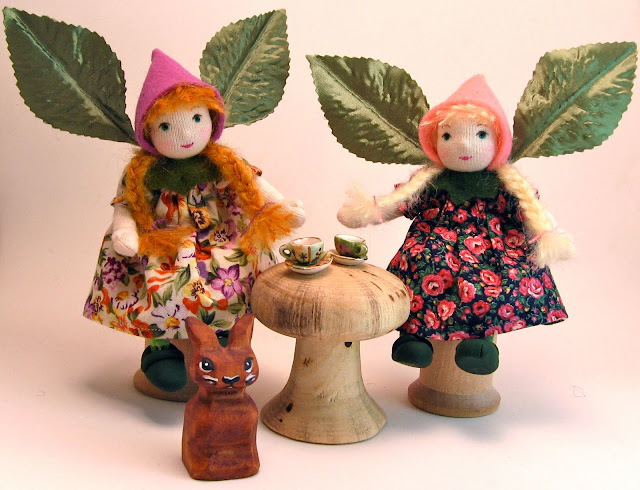 And so many favorites pictured here (waves at little elf!) thank for thinking of my "Poison"
Loved it! It so completely went together and yes I would wear that gown on a wicked feeling day!! !